I've always found something incredibly satisfying about answering a few questions and being presented with something that proclaims to represent me in some way. I think it's because I feel as though I'm constantly changing, or at the very least just constantly changing my mind, so I can never quite decide where I would fit. My surprise at being sorted into Gryffindor over Ravenclaw all those years ago still hasn't entirely disappeared. I'm probably somewhere in between the two and I think that's quite a nice place to reside. 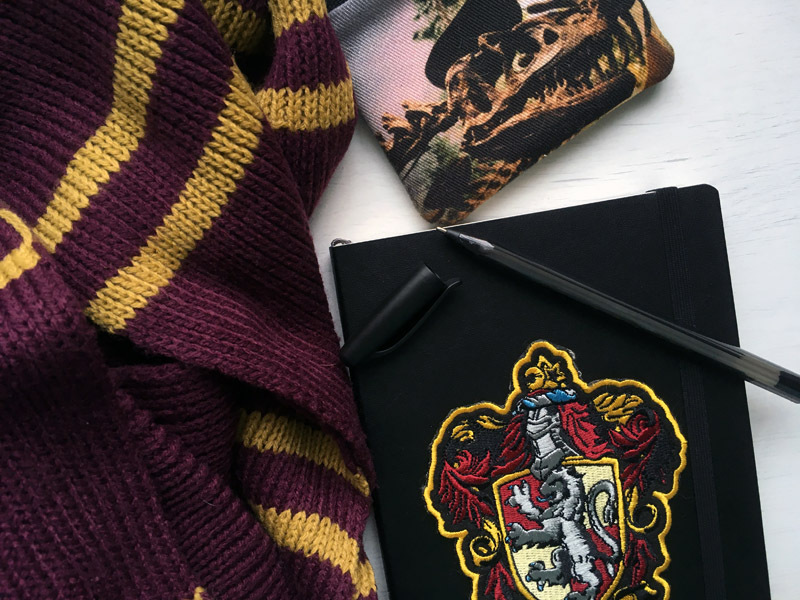 Despite knowing nothing about Ilvermorny, during the sorting quiz I felt that same feeling of curiosity and excitement that I felt when I was sorted into my Hogwarts house. I'm a Thunderbird and I don't entirely know what that means, but I certainly feel an affinity with it. In some way. Somehow. In years gone by, when asked what I thought my Patronus would be I would mutter something about a rabbit or perhaps an otter, but in truth I was never really sure. A rabbit would probably be too obvious. And I just think otters are cute. As you can see, I hadn't really given it that much thought. 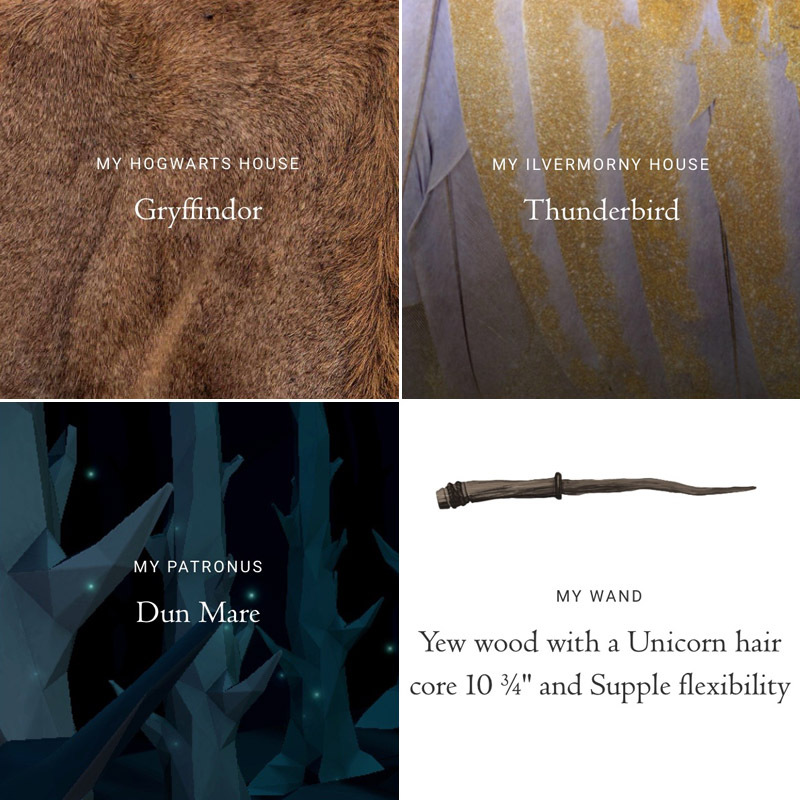 But somehow the selection of questions I happened to be asked on Pottermore at that particular time has managed to give me a Patronus that fits so perfectly I'm convinced it really can see into my soul. I mean, horses can sleep standing up or lying down, and that's pretty much me right there. 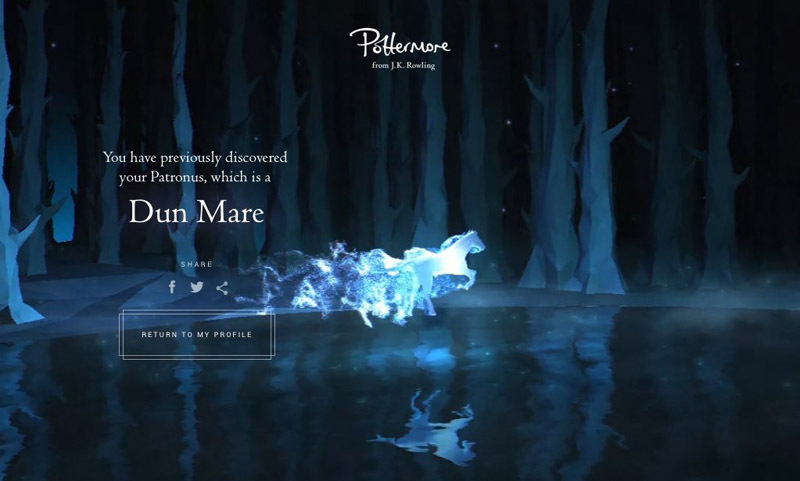 Also Ginny's Patronus is a horse and Ginny is nearly Jennie. My mam's Patronus is a wood mouse, because you bet I wanted to know! It fits her perfectly and I have no doubt she would be able to fend off an army of dementors with her little wood mouse pal, they're not to be underestimated. I'm intrigued to see what my boyfriend's Patronus is once he's back from his little seaside jaunt. He's a Slytherin so perhaps he'll stay on brand and get some kind of snake. We'll see. Are we housemates, or perhaps even Patronus pals?